"The repetition could have appeared monotonous were it not for the thrilling specificity of each of the moments.... What the "truth-camera" permits is essentially to recapture the unity of each moment of a human life, of concrete reality in its absolute originality." "It is a cinema which involves art as well as the soul"
"The filming methods are directly related to 'television-style' and documentaries of this type are the only valid contribution made by television"
"An extraordinary enterprise, in the truest sense of the term"
For “Eddie,” Drew Associates returned to Indianapolis Speedway for the 1961 running of the Indy 500. Beloved auto racer Eddie Sachs again won the pole position by delivering the fastest time in the prelims and, on the big race day, Drew’s cameras again rode with Sachs. The new footage was combined with highlights from Drew’s 1960 film about Sachs, “On The Pole,” and the completed film was a mix of black-and-white and color scenes. “Eddie” was not broadcast in the U.S. until 1964, but it caused a sensation in Europe the year after it was made. “Eddie” was invited for a special four-week run, along with Drew films “Primary” and “Kenya,” at the avant-garde Cinema La Pagode in Paris in March, 1962. Paris critics polled by Cahiers du Cinema, the Bible of the French New Wave, rated it the best film to open in the city between January and April that year, beating out “West Side Story.” The Paris film world declared the films to be revolutionary and the techniques were soon copied by feature film directors. “Eddie” was eventually broadcast in the U.S. in syndication on the Time-Life and RKO-General Stations, among others, in December, 1964. It was part of “The Living Camera,” a series of Drew Associates’ films that included “Nehru,” “Jane,” “David,” and others. 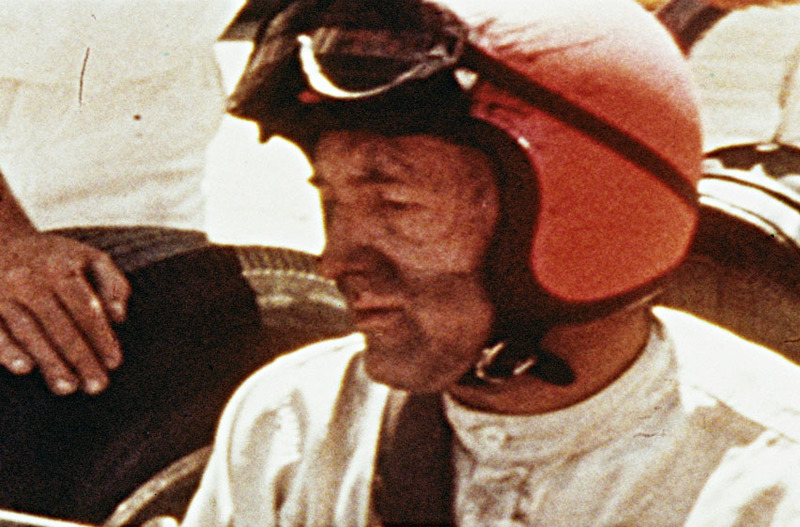 A final re-make of the film, called “On The Pole: Eddie Sachs,” involved minor edits and added a coda describing Eddie’s death in a fiery, seven-car crash at the 1964 Indianapolis 500. It was released on DVD in 2013 and is available for streaming on SundanceNow.com.